Saturday is shearing day on the farm. We are trying something new this year – we will shear in the fall and again in spring. Many Finnsheep shepherds shear their sheep twice annually. The fall clip is clean because the sheep have been on pasture with no hay to contaminate the fleece. I have also noticed that with the Shetlands and the Shetland/BFL cross sheep, the staple is VERY long when sheared annually; at times it has been too long for the fiber mill. We have two breeding groups this year. Our new Finn ram lamb is Little Red Oak Knuut. He is BBBb (black, carries brown) with spots. His mother is piebald. 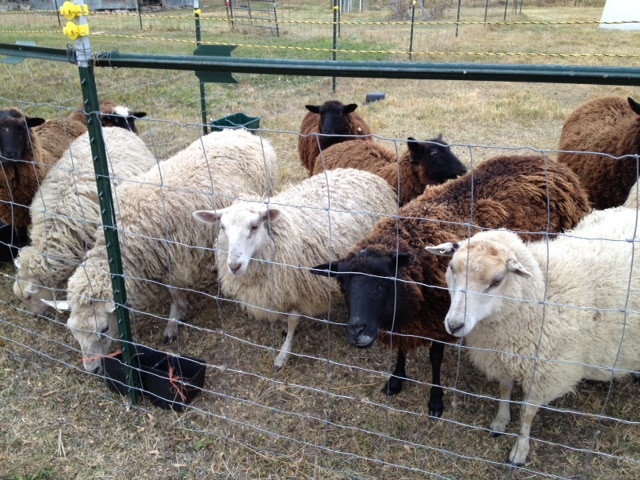 On Oct. 7th, he was introduced to ten ewes and ewe lambs and everything appears to be going well. The second breeding group consists of four ewe lambs and a ram lamb which we brought home from northern Minnesota. They are Border Leicester crosses. 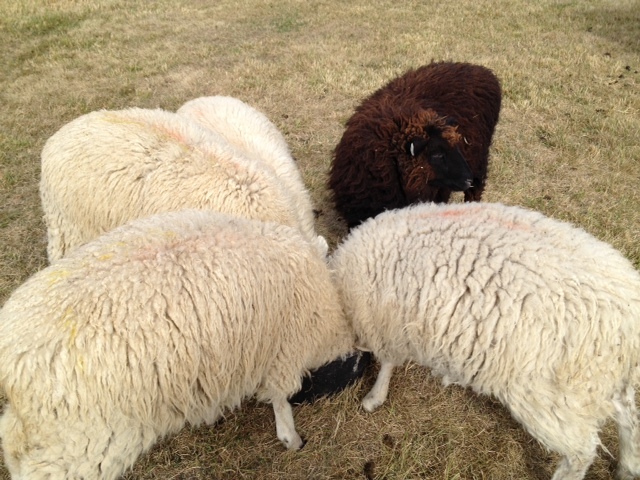 The ram is 3/4 BL, the ewes are Border Leicester, BL/Columbia, or BL/Karakul crosses. I am really curious to see what we get from this group. We are hoping for lambs with a bit more size. 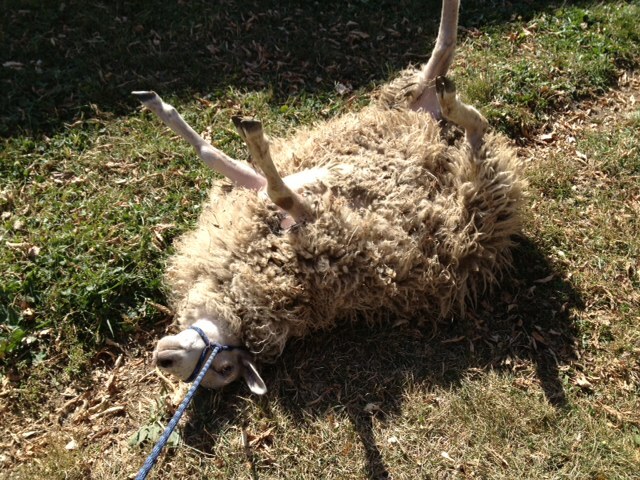 And I had to include this humorous photo of a ewe lamb who didn’t want to go into the breeding pen. She flopped… and then she flipped. Enjoy!